AM-78: AM-78 was awarded to Empire Air Lines. In 1938 Bert Zimmerly founded Zimmerly Air Transport, a small local flight service airline at Lewiston ID. ZAT changed its name to Zimmerly Air Lines on April 1, 1944 flying a modest fleet of three Boeing 247's. It provided scheduled flight services from Boise to Lewiston, Pocatello and Coeur d'Alene ID. 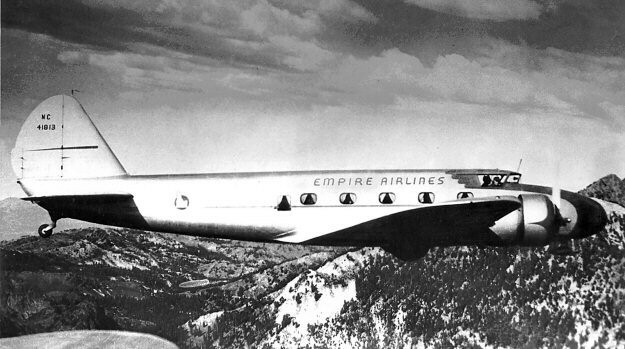 ZAL changed its name on March 1, 1946 to Empire Air Lines. AM-78 was awarded to Empire Air Lines and on September 28, 1946 it began flight service between Spokane WA and Idaho Falls ID. Effective June 27, 1952 Empire Air Lines was merged into West Coast Airlines. Years later on April 17, 1968 West Coast Airlines (AM-77) and Bonanza Air Lines (AM-105) merged to become Hughes Air West.